In this elegant new book, the sequel to his earlier, much praised treatment of the Devil, Philip Almond reveals that – whether in Judaism, Christianity or Islam – God is seen to be at once utterly beyond our world yet at the same earnestly desiring to be at one with it. In the Christian chapter of this story the paradox arguably reaches its improbable zenith: in the fragile form of a human being the infinite became finite, the eternal temporal. The way these and other metaphysical tensions have been understood is, the author demonstrates, the key to unlocking the entire history of religion in the West. 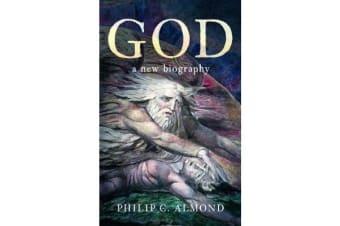 Expertly placing the narrative of divine presence within the wider history of ideas, Almond suggests that the notion of a deity has been the single greatest conundrum of medieval and modern civilization. In this rich, nuanced appraisal, ‘God’ is shown to be more complex and fascinating than ever before.